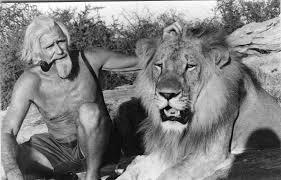 For those of you familiar with the book Born Free and the work of George Adamson it will be well worth watching the new ITV documentary ‘Martin Clunes and a lion called Mugie’. Clunes visits Kenya to reveal how George Adamson’s then right hand man Tony Fitzjohn has rebuilt the original Kampi ya Simba (lion camp) in Kenya’s Kora National Reserve. The camp and years of effort where sadly abandoned when Somali poachers killed George Adamson in 1989. Fitzjohn now hopes to re-start where he and Adamson left off with the aim of once again releasing captured and orphaned lions back into the wild. The documentary will cover the story of Mugie, an orphaned lion cub who was found when he was just three weeks old, washed up on a river bank after a flash flood. Fitzjohn aims to raise and release Mugie in the same way that that he was able to with so many lions when working for Adamson all those years ago. There’s something unnatural yet quite remarkable about seeing wild animals and humans interacting. 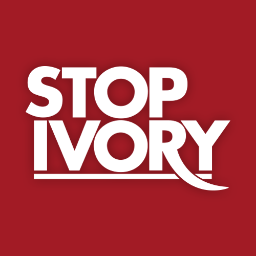 But as Born Free and the countless animal/human stories that have been told through David Attenborough prove, there is no better way of capturing human interest in wildlife conservation than sharing the remarkable stories that take place when humans and animals meet. The documentary was broadcast on ITV at 9pm on Friday, 4 April. It features a man called Jamie Manuel who I worked on farms with in Kenya back in 2004.